Regular servicing is important for the reliability of any machine, so we recommend all garden equipment be serviced each year to keep it running smoothly. Powercut is a John Deere dealership, but our technicians are fully trained on a wide range of equipment types and brands, including Kubota, Toro, Massey, Husqvarna, Westwood & Countax. 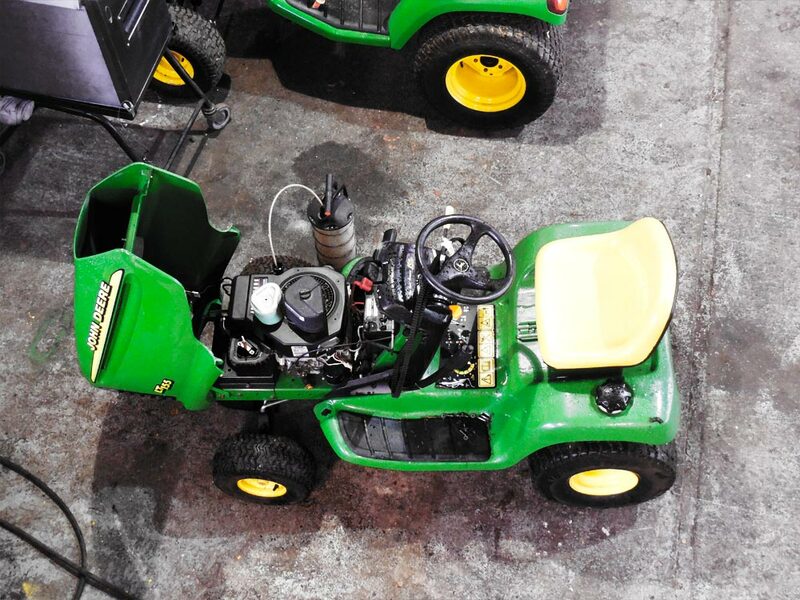 Whether you've got a 12 inch cut walk behind, or a 12 foot cut wide area mower, we have the expertise to look after your machine to the highest possible level. Please contact us for quotes on other equipment. All prices exclude VAT & parts. Looking for a hassle-free way of getting your garden machinery serviced? Using our specially modified trucks and trailers, our trained and courteous drivers can transport your investment from your doorstep securely to our workshop, and return it all serviced, gleaming clean and ready for use. For a quotation, contact the Service Department on 01267 235 625.